Peter Elias studied in the sciences before undertaking his doctoral studies in applied labour economics at the University of California at Berkeley. He is a Professor at the Institute for Employment Research, University of Warwick, where he has worked across a wide variety of research areas over the last 30 years. These have ranged from the evaluation of large-scale government programmes, statistical monitoring of the status of particular groups in the labour market, the study of occupational change and the relationship between further and higher education, vocational training and labour market outcomes. Related to these research areas, he has developed methods for the measurement and analysis of labour market dynamics and has a keen interest in the classification of labour market activities. He is a Fellow of the Royal Statistical Society. 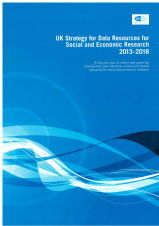 From October 2004 he has acted as the Strategic Advisor for Data Resources to the UK Economic and Social Research Council (ESRC) , assisting the ESRC and other research funding councils and agencies with plans to develop data resources for research across the social sciences and at the boundaries between the social sciences and other disciplines. On 1st November 2013 he was appointed as the Deputy Director for Life Study (the new birth cohort study funded by the ESRC, MRC and University College (UCL), London) and was appointed as an honorary professor at UCL.From 1st April 2014 he becomes Deputy Chair of the Administrative Data Research Board of the UK Statistics Authority.He was awarded a CBE for services to social science in the Queen's birthday honours list in June 2011.